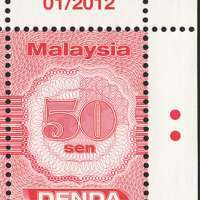 POS Malaysia has introduced new Postage Due stamp with only single value, 50 sen. It is almost twice the size of last issued stamp. 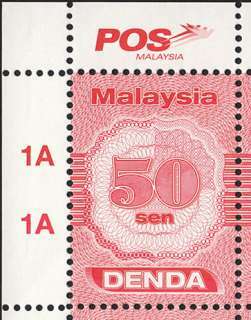 Postage due is the term used for mail sent with insufficient postage. 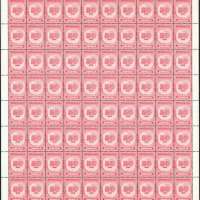 A postage due stamp is a stamp added to an underpaid piece of mail to indicate the extra postage due. 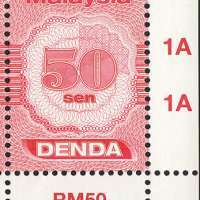 This stamp is not available for sale to the public.